Lake County Eye: House of Misrepresentatives? 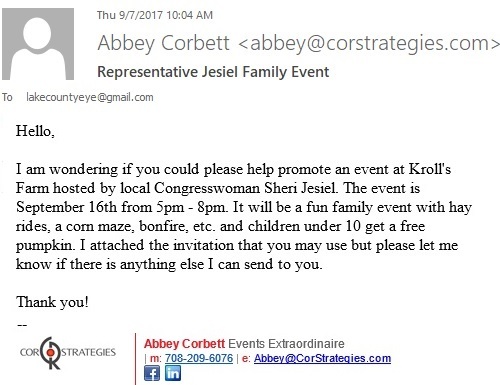 Informed sources tell your LakeCountyEye that Sheri Jesiel is not a member of the US Congress. For the record, Jesiel (R-Ill) is the Illinois State Representative in the 61st District. Note to Congressman Randy Hultgren (R-Ill) campaign Ops: Watch your backs.